This winery is settled in a very nice area, the drive to the cellar door is very nice, the grounds are lovely and I like how the place is kind of hidden. The front entrance to the place is quite simple yet nice. The water feature at the front entrance is also nice. On entering this cellar, there is information on the walls along the corridor to the tasting room. It was quite busy when we got there. There were two ladies serving and due to the # of people tasting all at the same time, we didn't get a lot of information on the wines. Also, with the # of people trying to do a tasting all at once, the experience was not fantastic. It probably would have been a better experience had we come when it wasn't so busy. There was not a lot of space to stand and try the wines and we were all trying to get the ladies attention for our next wine at the same time. I started with the Sauvignon Blanc 2010 (R110) which was light, fruity, and easy to drink. The Mme Marlbrook 2008 (R146) is a blend of Semillon, Sauvignon Blanc and Chardonnay. This was not so balanced and I didn't think much of this wine, I thought it was ok. Next I tried the Marlbrook 2008 (R186) which is smooth, balanced, yet complex. It also had a slightly dry aftertaste. The Amovilka 2008 (R360) is a blend of Shiraz, Cabernet and Merlot. It was dry. The Vinde Constance (R370) was thick/syrupy, fruity and delicious. All of the wines were ok, but other than the last wine, nothing stood out. 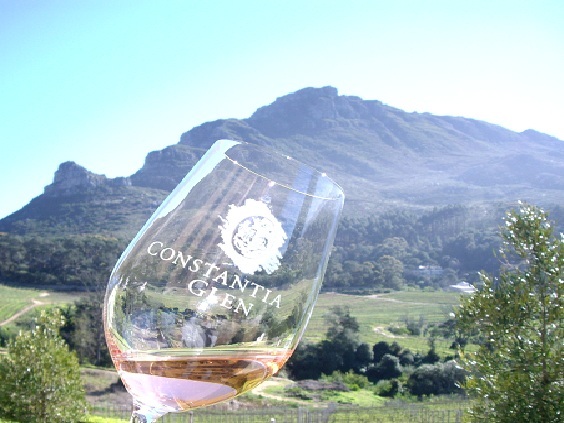 If one's time is limited trying wines in Constantia, I think you can safely leave this winery off your list. Perhaps when it is not so busy it will be better, but even then, the wines were ok and were overpriced in my opinion. This is a nice winery nestled in Constantia. 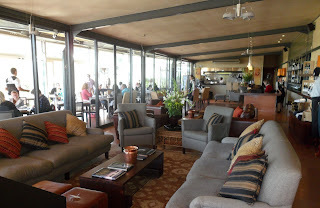 We received very good service from the moment we walked in to the wine tasting room. The tasting room is of a nice size, the tasting is done seated, and there are nice photos hanging in the room. I tried all six wines at this winery. I started with the Sauvignon Blanc 2010 (R75) which is light, tasty, smooth, balanced and very nice. The Viognier 2010 (R135) is smooth, spicy, and has interesting flavours. The Litte Eagle 2008 (R65) is light, easy drinking, tasty and flavoursome. The Merlot 2006 (R120) is nicely balanced, slightly dry, has a plum and blackberry taste to it. I felt this wine was more for the experienced wine drinker though. The Verreaux 2008 (R145) is a blend of Merlot, Cabernet Sauviginon and Cabernet Franc. It is smooth, rounded, with a slight dry aftertaste. It has nice flavour to it and is an ideal food wine. Last of all I tried the Shiraz 2009 (R225). It is quite dry, has nice flavour, its slightly spicy, and has peppery notes to it. Overall, this is a nice winery, with great service, nice grounds, and nice wines. My boyfriend and I visited Guardian Peak on a beautiful, sunny, winter's day. We sat outside on the decking for breakfast and were able to do the wine tasting at our table also. Was nice and convenient, a very relaxing and enjoyable way to do a tasting. The service and food is very good here and the view is beautiful. You can view the menu online http://www.guardianpeak.com/restaurant.htm. You can do a tasting outside at a table, or sitting on these outdoor cushions. There is also plenty of space inside for a tasting. I tried all the wines for tasting. 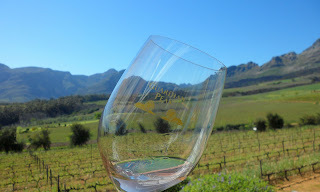 My favourites were the 2010 Guardian Peak Merlot (R65) and the 2011 Guardian Peak Rose (R65). The Merlot was very nice, had great flavour and was slightly dry. The Rose is 100% Cabernet Sauvignon, it was lovely in colour (had no skin contact, it gets its colours from the initial press with the skin), it was a nice, light, easy drinking wine. 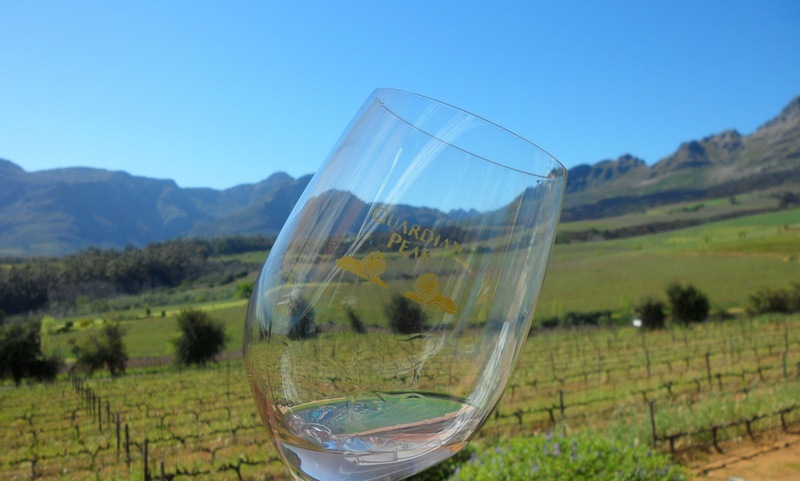 I also enjoyed the 2011 Guardian Peak Sauvignon Blanc(R65) it was smooth, balanced, had a nice guava flavour, was buttery with a crisp aftertaste. On the tasting notes it said this wine is "light & elegant - beautiful", I totally agree. It costs R30 for a tasting. There are nine wines you can try. This is a nice winery to visit, I highly recommend eating here, be sure to ask for a table outside so you can enjoy the views while eating and/or doing a tasting. On Saturday some friends and I went to a few wineries in Walker Bay. We were there for a friend's birthday, and the weather was just perfect!! We got very lucky!! 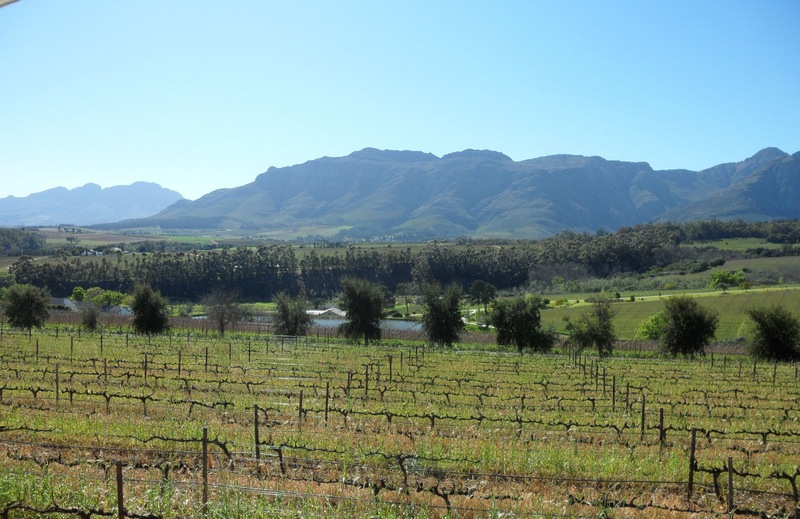 We started at Hermanuspietersfontein for the Saturday market, we then went and spent a nice amount of time at Hamilton Russell, and finished at Creation for a 9 course wine and food pairing. It was a fantastic day!! On a map, this winery looks quite far, in comparison to the other wineries on this road, and it looks like it is half way to Caledon. Once you have stopped off at several wineries on the way, it is nothing to drive that bit further to Creation. After driving along the dirt road, you are welcomed by a building which is modern, tasteful and welcoming. The grounds are also very nicely kept and are very beautiful. We all decided to go with the 6 wine tasting and 9 canapes to match. This is R90 and I highly recommend doing this. It is really interesting trying the wine prior to the matching canape(s) and then trying the wine again after the canape. There is a great difference in the taste of the wine after trying the canapes. It is therefore a great way to decide which wine you like with meals and which you like without food. Carolyn who was serving us, was really kind to let us try the whole range of wines they have for tasting. They have 9 wines, but when you do a wine and food matching you get to try 6 wines. My favourites were the Sauvignon Blanc (R79.50) - on first sip it was rounded, balanced, yet after eating one of the two canapes for this wine, I found it slightly acidic. I felt it went really well with the cheese canape though!!! I also liked the Bordeaux style blend (R139) - it was just beautiful!! It had great body, great taste and was really nice on the palate. Last of all the Syrah/Grenache (R135) was smooth, velvety and also very nice. I am not going to mention all the wines we tried as there are many. What I can say is that ALL the wines are very nice, the wine and food matching is great, the service is great, the scenery is beautiful and the entire experience was perfect!! We all had a really nice time here and would definitely recommend you put this winery on your list to visit!!! This was the 2nd winery we visited on Sunday. It was such a nice day, and this photo was taken just outside the entrance of the cellar door. I was not expecting much from this winery because of what I had heard from the reviews on www.spitorswallow.com. I had heard that it is very commercial, touristy and not the most enjoyable winery to visit. On arrival, we had to queue to pay for our tasting, which cost R35 for a tasting of 5 wines and a glass you can take home, or R25 which is for a tasting, but no glass. I immediately could relate to what the people meant on spitorswallow. Having to queue was very strange for me, and created the feeling that you are just another tourist walking in for a tasting, you are nothing special. 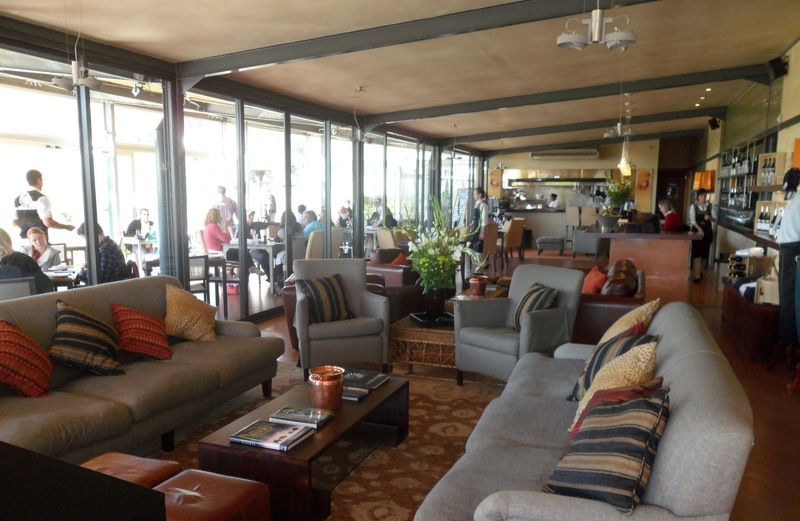 (Even though this wasn't a great start to my opinion of the place, do read on, as it did change and resulted in a very nice wine tasting experience)!! We got to the tasting section and were poured a generous amount of our first wine and were told we could sit wherever we liked (in the big wine tasting hall) and to come back when we wanted our next glass. I thought, ergh, this is very uncool. We sat down on the sofa's near to the wine tasting section so we didn't have to walk far for our next tasting. As we didn't want to drink the entire glass of wine poured but just have a taste of them, it was not long before we went back to try more. As no other guests were at the wine tasting section, we got to stay there and talk to the ladies serving the wine. This is when our wine tasting experience changed for the better!! I decided to try all four whites and the rose. The semillon/Sauvignon Blanc (R63) was rounded, light and an ok wine.The Sauvignon Blanc 2010 (R89) which won Veritas - Gold, Platters Wine Guide - 5 stars, Classic Wine Trophy - Gold and International Wine Challenge (UK) 2011 - Gold I thought was smooth and ok. The Governeurs Sauvignon Blanc 2009 was very herbaceous and again ok. The Gouverners Reserve (White) 2009 (R140) however, was very nice. This was nicely balanced, smooth and appealed to me the most out of the white wines. I had no problem drinking the entire pour, it was very easy and enjoyable to drink!! I could definitely sit down to a bottle of that wine. I then had the Blanc de Noir 2010 (R56) and this was very nice. It had a very nice salmon pink colour to it, the skins had been in contact for only 2 hours, it was nicely balanced, definitely another favourite of mine. By this stage, we had decided to plant ourselves at the wine tasting section, while Alison and Wilma told us lots about the history of the winery and the wine. They REALLY made the experience enjoyable and memorable. To top off the experience, Alison was so kind to let us have a tasting of the Grand Constance 2008 which unfortunately is not on the list for tasting. But for R330 a bottle, I can understand why they don't allow tastings. We all THOROUGHLY enjoyed this desert wine. It was by far the best desert wine I have tried. It had great flavour, great body, yet it is light, silky, smooth, sweet and was very nicely balanced. It was just gorgeous! We almost bought a bottle, but our budget got the best of us :-) To finish the tasting Alison also gave us a tasting of the Port 2009 (R114). This was also very nice. It also had great body, was slightly sweet and was very enjoyable. So it turned out to be a very nice experience thanks to the fantastic service by Alison and Wilma, the stories and history they told us about the wine and winery, and the extra kindness they showed by allowing us to try the Grand Constance. I would definitely recommend this winery. I hope that when you go, it is also not so busy and that you too can spend time with Alison and Wilma and learn all about this winery's history. We went at lunch time, which maybe is the key time to go while all the tourists are in a restaurant eating lunch? 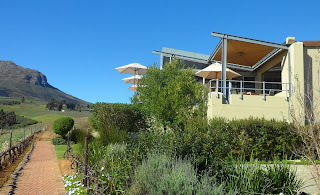 Talking about lunch, previously I had been to Simon's at Groot Constantia for lunch and it was a VERY nice experience. You will not be disappointed with choosing Simon's for lunch!! This was the first of three wineries we visited on Sunday. 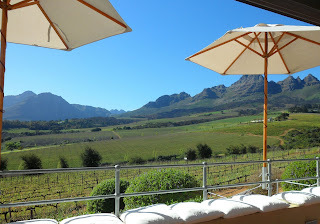 It was such a nice start to the day, driving up to the cellar door and being greeted by a lady on the porch where there was outdoor seating and a lovely view to soak up while trying the wines. The sunny day definitely added to my liking for this place!! While over looking the vineyards, and enjoying a cheese platter, we tried the four wines for tasting. We started with the Sauvignon Blanc 2009 (R100 a bottle). This was not your typical sharp, crisp Sauvignon Blanc, it had a completely unique characteristic, which was nice. It started off smooth and then finished with an acidic, sharp taste, adding complexity to the wine. It was interesting. The Rose Constantia Saddle 2011 (R50) was my favourite. It wasn't too sweet and wasn't dry, it was very nicely balanced. This Rose is made from Cabernet Sauvignon, Cabernet Franc and Merlot grapes. The skin is in contact for 2 hours which gives it a beautiful light pink colour. Next was the Constantia Glen Three 2008 (R150). This red wine is made from Cab Sauv, Cab Franc and Merlot. It has a very nice smell, has a smoky taste, is smooth, light and not a dry red. The last wine we tried was the Constantia Glen Five 2007 (R245). On the first sip this wine took my breath away, it was amazing!!! It was amazing the amount of different flavours you could taste on the first sip. I was impressed. I was a bit sad to find that as I kept drinking it, all those individual tastes were mixing as one and it became yet another red for me. Having said that, it was a very nice red and I am sure many red wine drinkers would enjoy this wine. A tasting at this winery is R30. If you buy a bottle it is waivered. I hope I have done this winery justice with this review as it was definitely one of my most liked winery experiences. 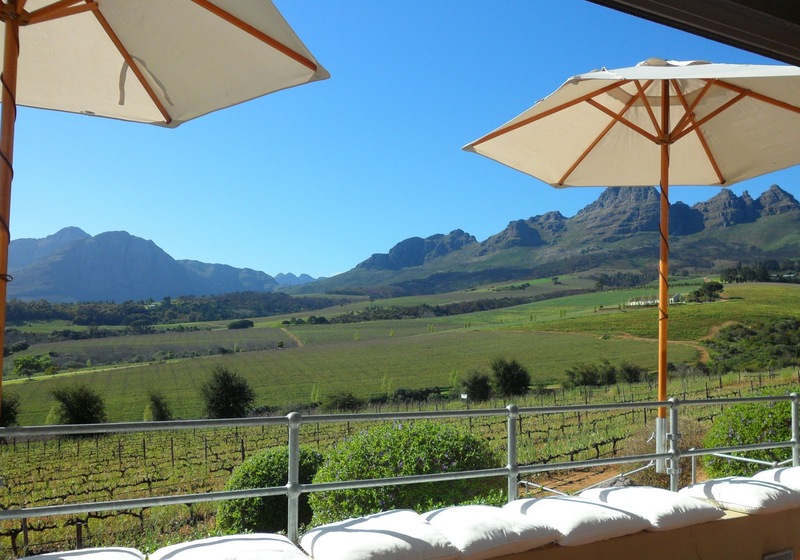 Sitting on the stoep drinking wine and looking out over the vineyards was an amazing experience and I would highly recommend this winery to everyone!!! This is a very nice winery. It has a very modest front to it and a unique one. The red posters on the front beams of the entrance reminded me of the gate ways you see as you approach a temple in China. It all changes as soon as you walk through the entrance, you see a completely different side to the place. The view from the entrance way is stunning and you realise you have walked in to a hidden gem. I wish it had been warmer that day and that we could have done the tasting on the seats outside with these amazing views!!! That would have been magical!! Time was limited so we didn't get to explore the grounds, but we thoroughly enjoyed what we did see. The service was fantastic, we were served by a lady called Elzanne, she really knew the wines and had great passion for them. The ambiance at this winery was very nice!! The wines were great!!! I liked the Sauvignon Blanc 2010 (R69) it has great flavour, smell and taste. It is actually similar in taste to NZ Sauvignon Blanc's. I also liked the Pinot Grigio (R80) which was smooth, peachy and nice. Loved the apple flavour it had. The Casey's Ridge Viognier 2010 (R130) was silky, smooth, peachy and nice. Out of all of them, I loved the Viognier 2010 (R130), it has great flavour and is nice and smooth. I wasn't a fan of the reds. But thought the whites were fabulous!! Be sure to visit this winery. 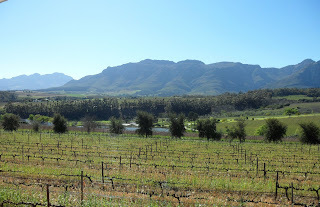 I am sure you will like it as much as I did :-) There are so many wineries in this area, that you can have a great day at the wineries out here!!! 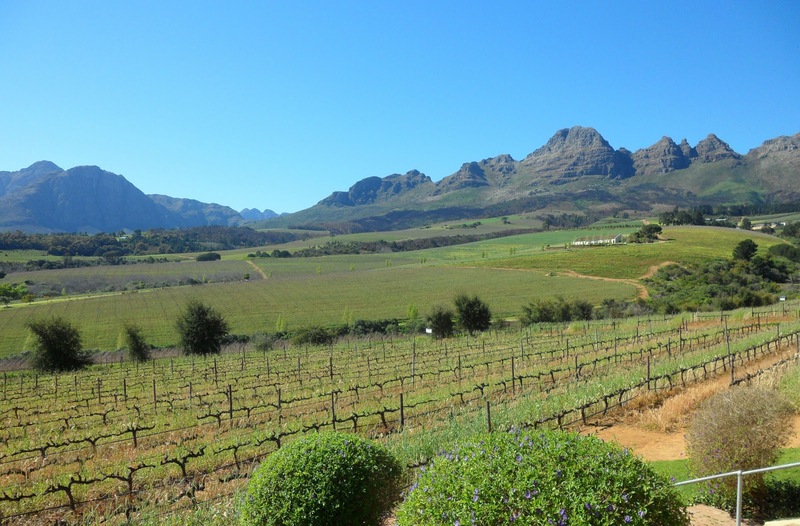 If you have just one day to spend visiting wineries in the western cape, this area is a great choice! !